The Zlín Region was established on January 1, 2000. 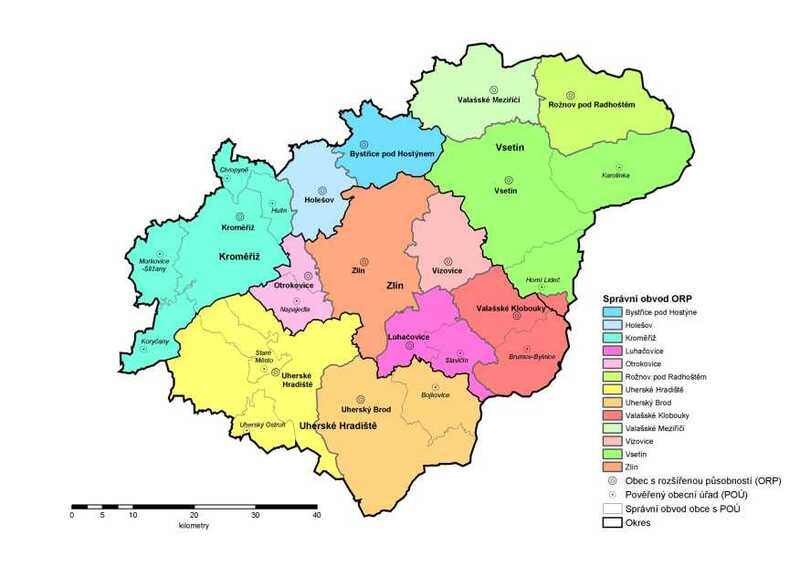 It was formed by joining the Zlín, Kroměříž and Uherské Hradiště districts belonging to the South Moravian Region, and the Vsetín district that belonged to the North Moravian Region. Effective from January 1, Effective from January 1, 2003, 13 administrative districts of municipalities with extended powers (municipalities of the III. degree) were established, under which 25 territorial districts authorised by the municipalities (of the II. degree) operate. The Zlín Region is located in the eastern part of the Republic, where it’s eastern edge forms the border with Slovakia. 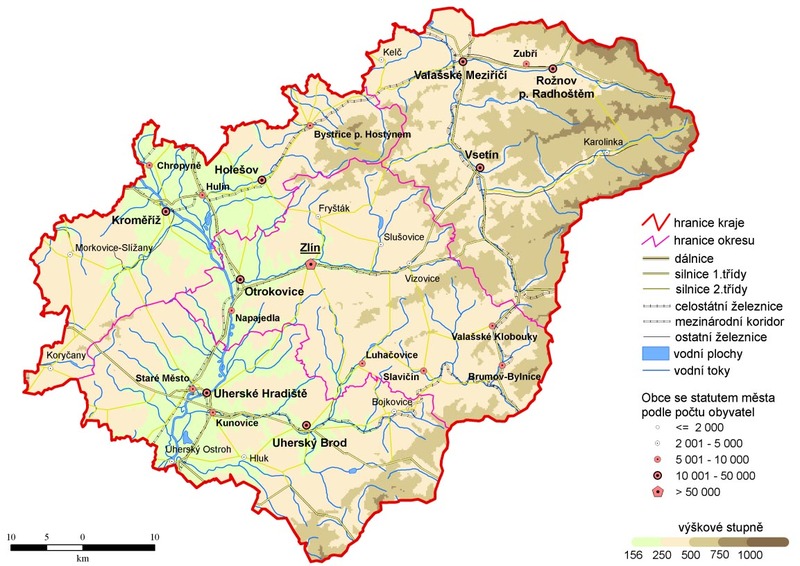 To the south-west, it neighbours the South-Moravian Region, to the north-west the Oloumouc Region and to the north it borders the Moravian-Silesian Region. With an area of 3,963 km2 it is the fourth smallest region in the Republic, but with its population density of 148.3 people per km2, it is the fifth most populated region. It has 307 municipalities in total, of which 30 hold the status of a city. By the end of 2014, approximately 59% out of a total of 585,261 inhabitants lived in cities. Since the establishment of the region in the year 2000, the total number of inhabitants has been decreasing yearly, with the exception of the years 2007 and 2008. In total, the population decreased by 12,629 inhabitants over 14 years. The average age of the population in the Zlín Region was 42.2 years in 2014. The economy in the region was, and still is mainly based on the capitalisation of input raw material and semi-finished products. In the generation of gross domestic product, the Zlín Region takes 8th place among the 14 regions in the Czech Republic. In 2014, the average GDP value per capita in the region reached 359,354 CZK. The industrial potential of the Zlín Region is formed by enterprises in the manufacturing industry, which comprise 15% of the registered subjects in total. Enterprises are especially concentrated on the metalworking and woodworking industries.